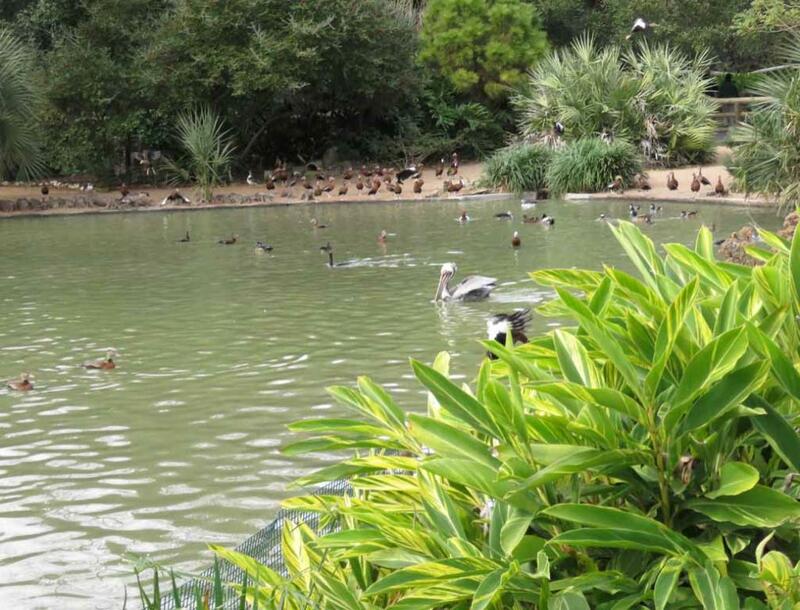 located at 6200 Hermann Park Dr, Houston, Texas 77030, Phone:(713) 533-6500.
many are on the shore, some are flying in the air and some are landing. 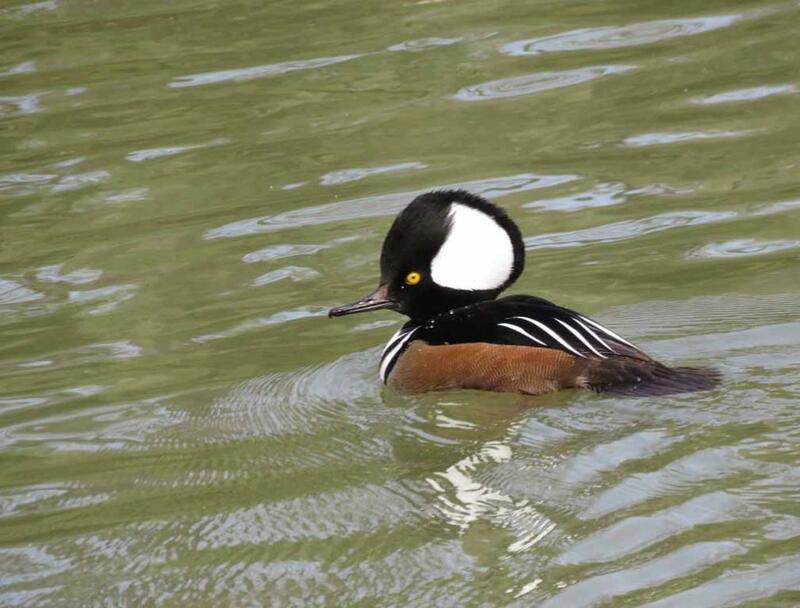 One of the male hooded mergansers on the lake. 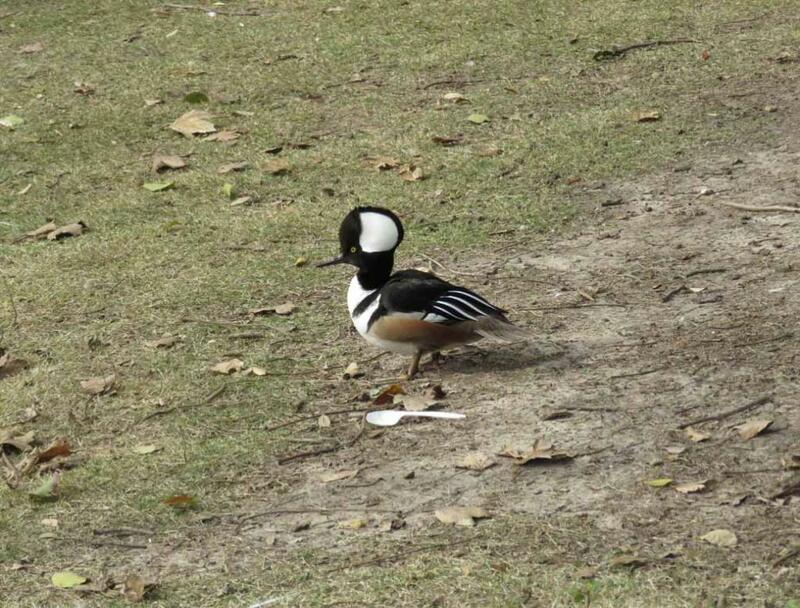 One of the male hooded mergansers on the shore. 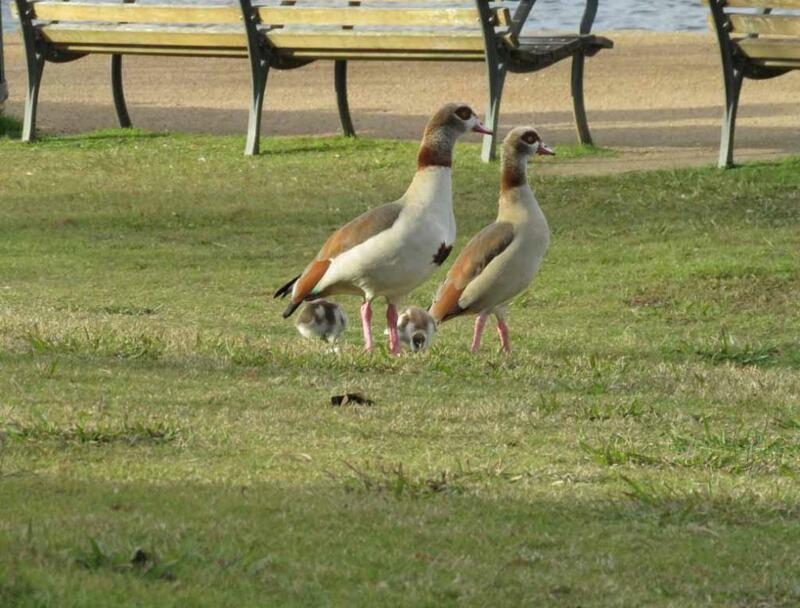 A pair of Egyptian geese with two babies. 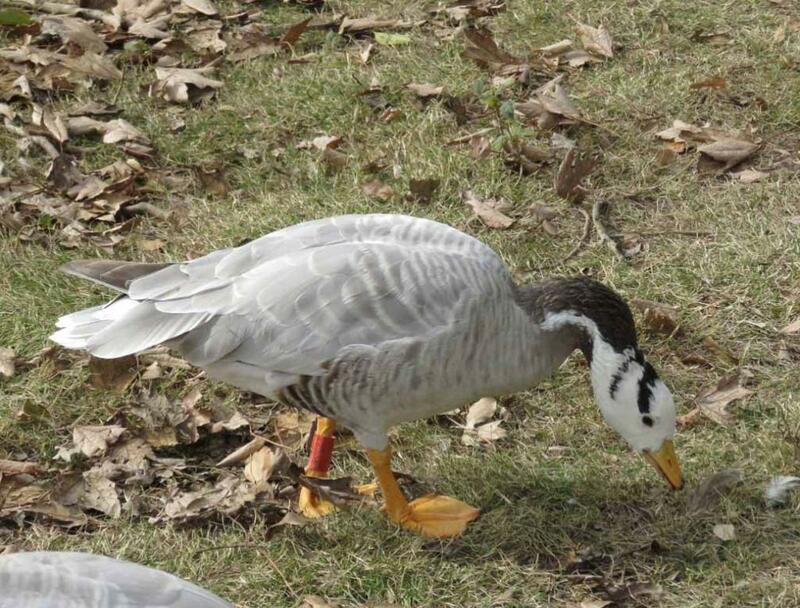 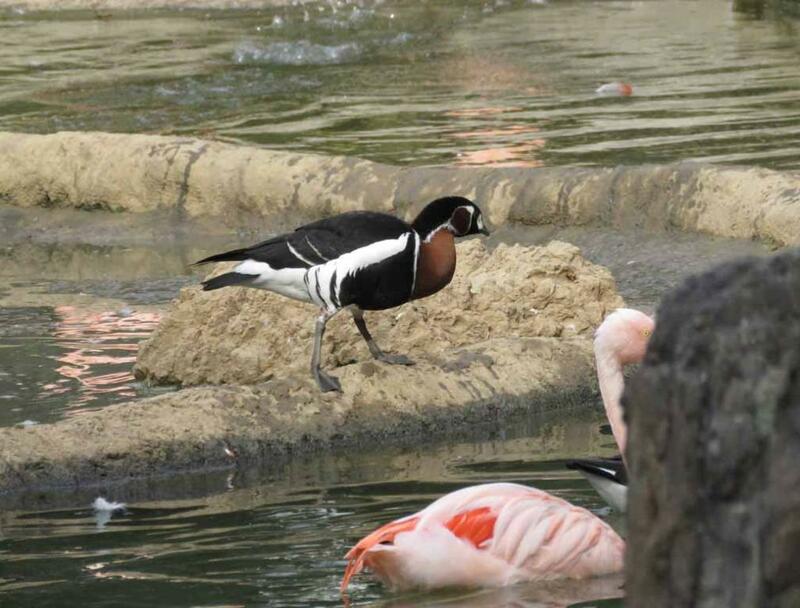 May be red-breasted goose with flamingos near the lake. 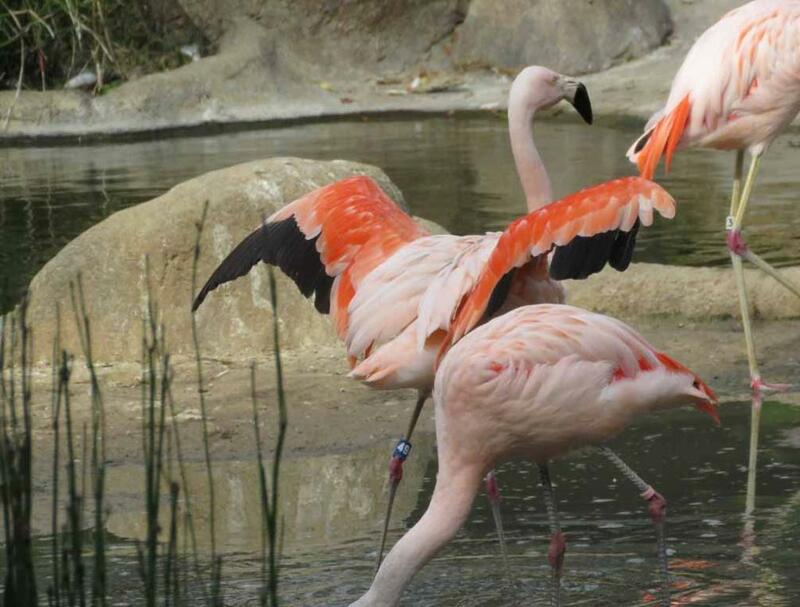 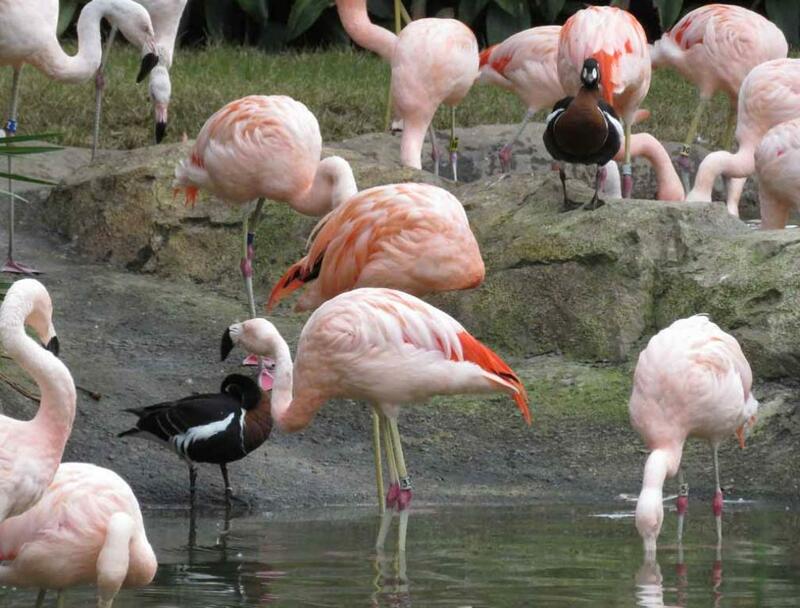 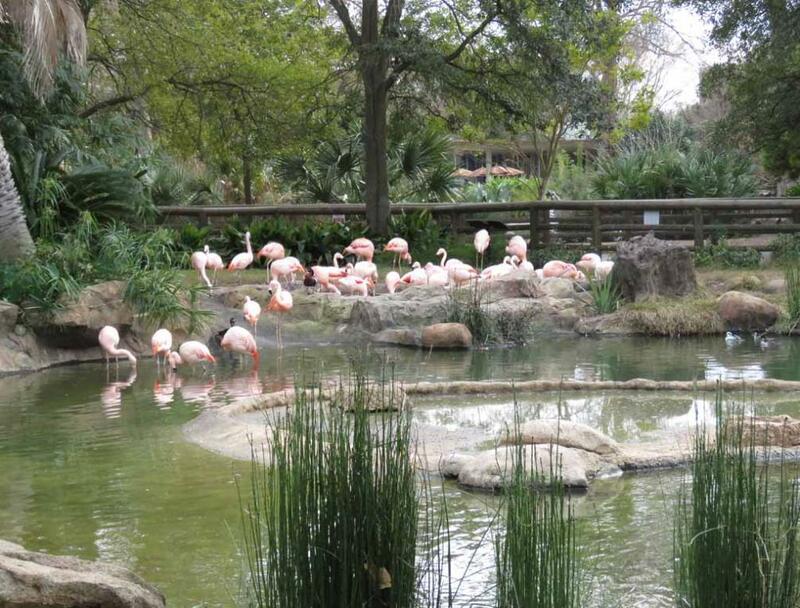 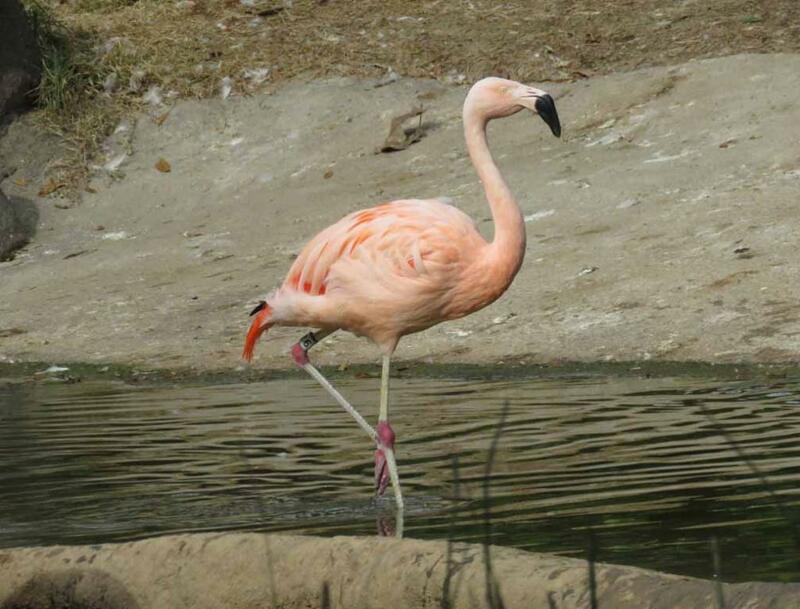 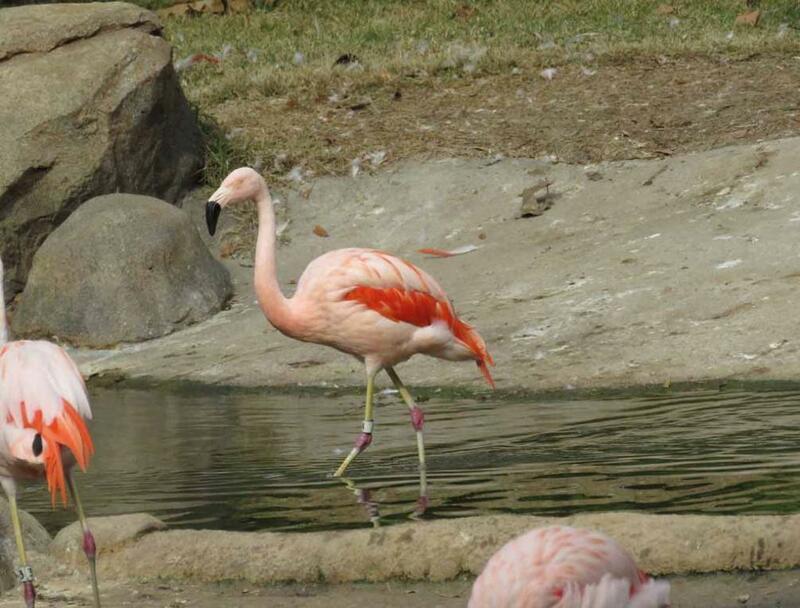 There are many beautiful flamingos here. 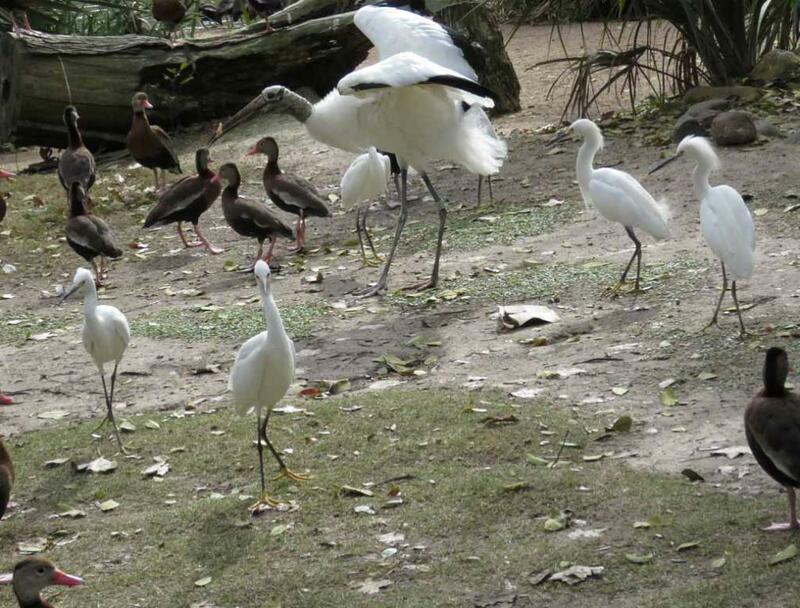 A wood stork, several snowy egrets and ducks. 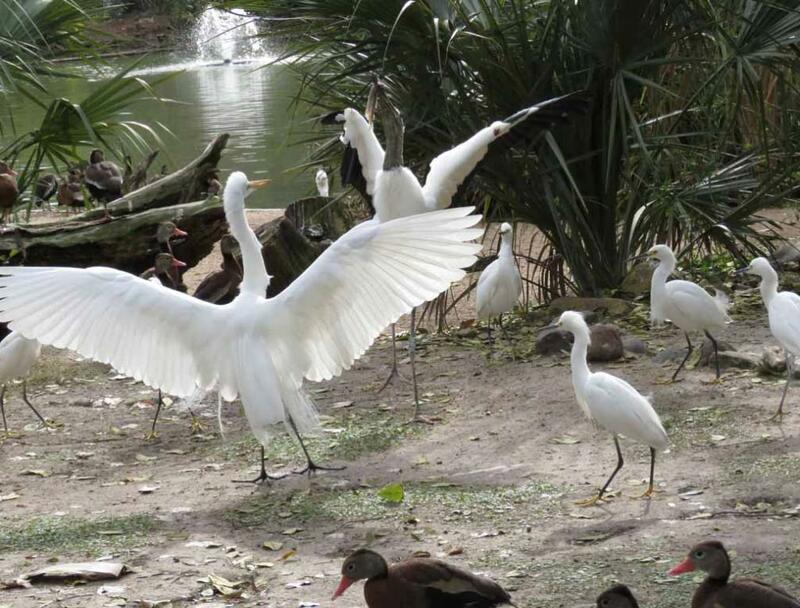 The wood stork, a great egret and several snowy egrets plus ducks. 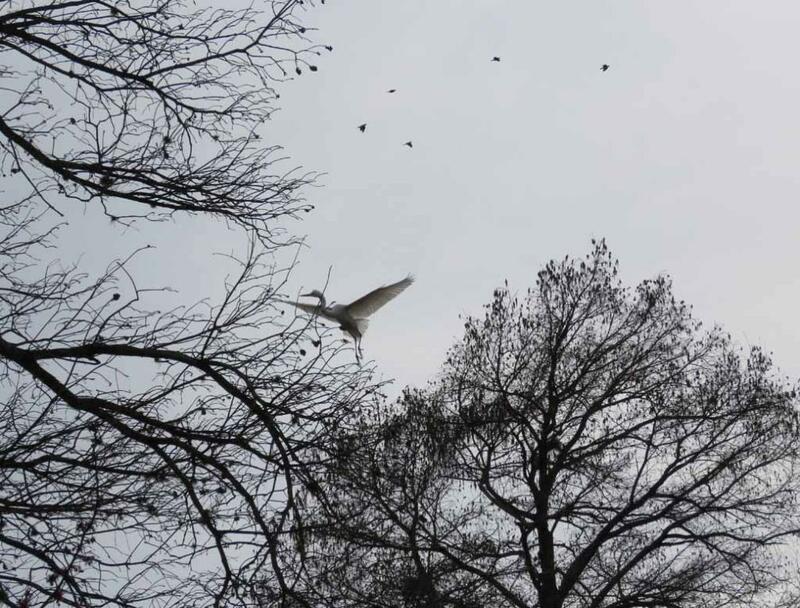 Another great egret is flying in the air high above the tall trees. 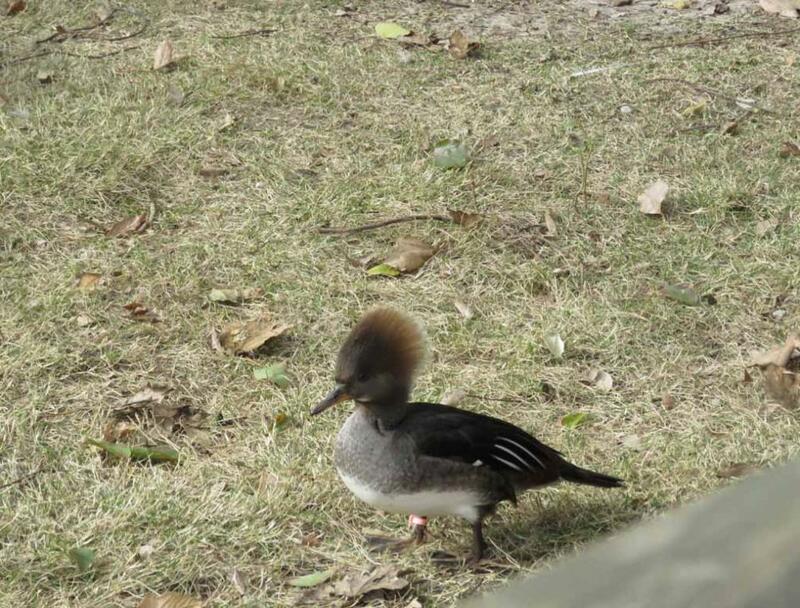 One of the female hooded mergansers. 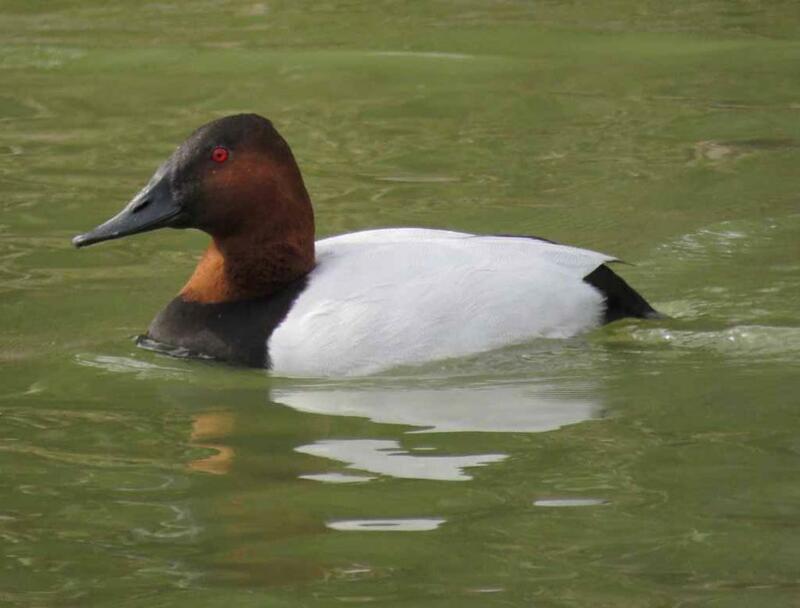 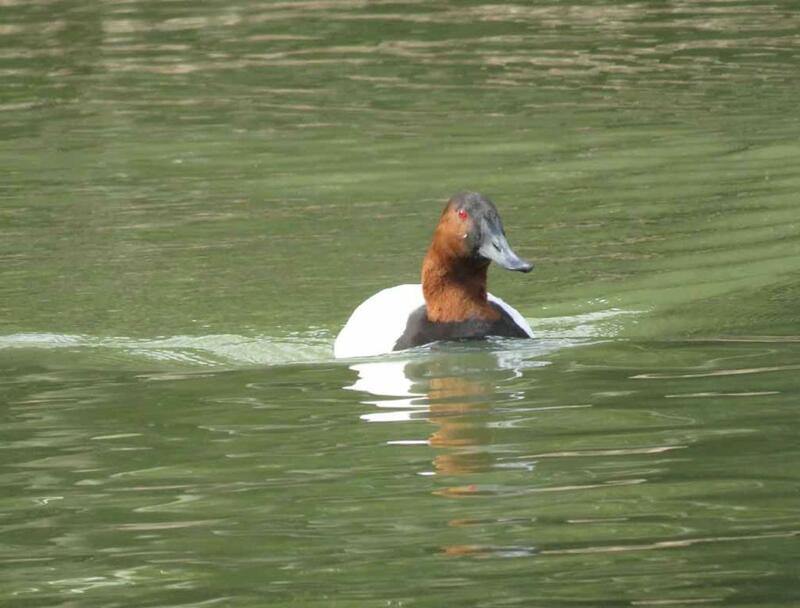 A canvasback on the lake. 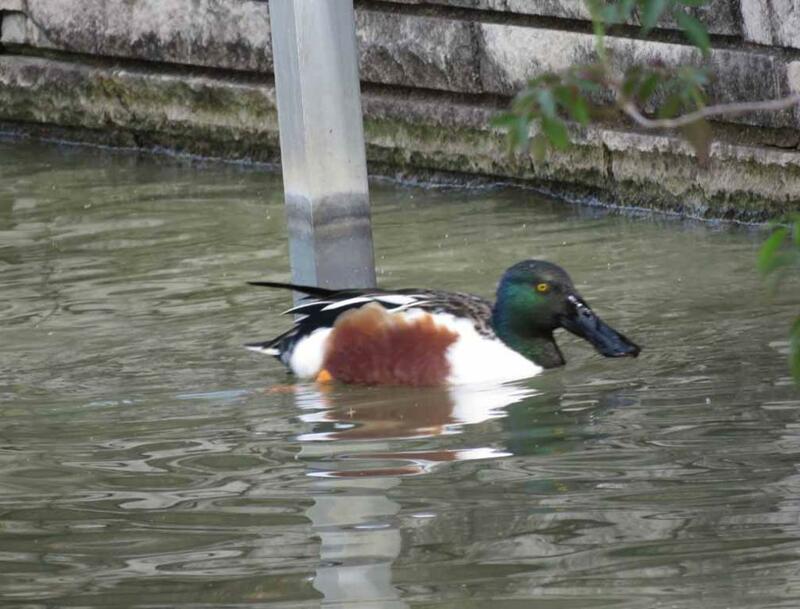 A northern shoveler on the lake. 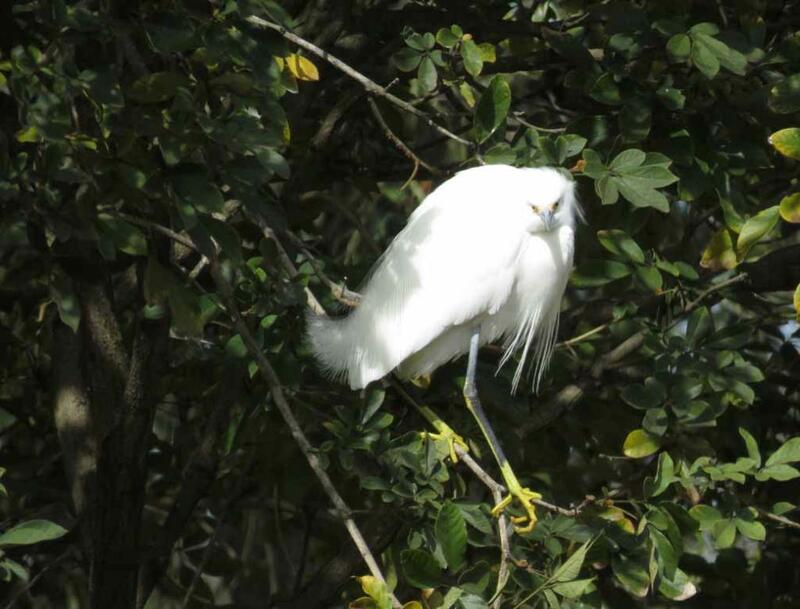 One of many more snowy egrets high up on the trees near the lake. 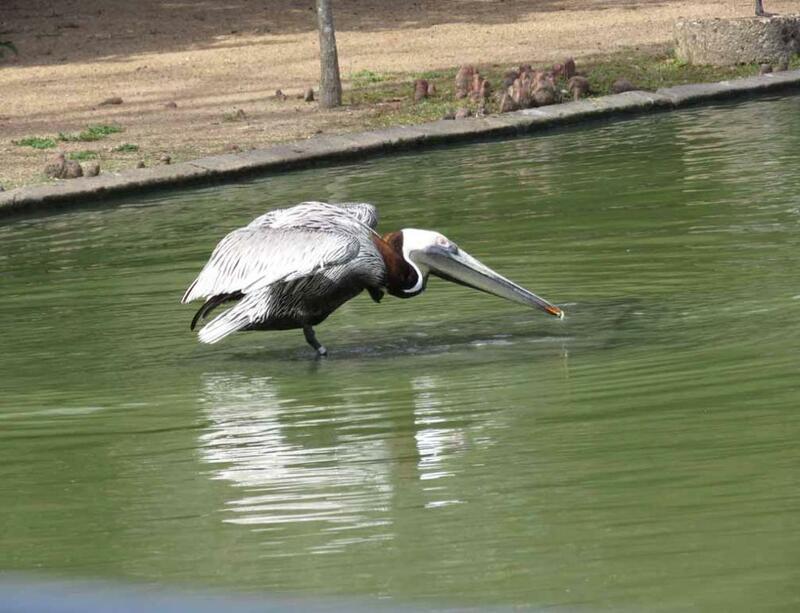 A brown pelican on the lake. 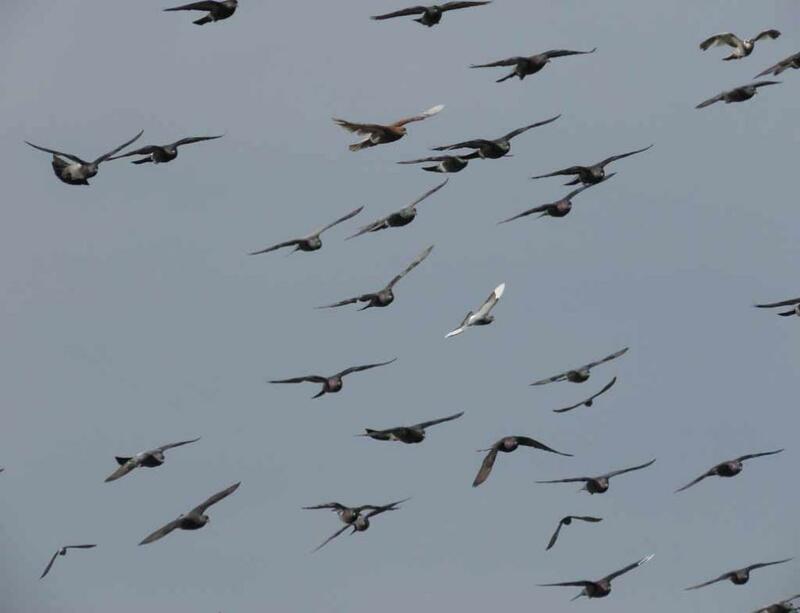 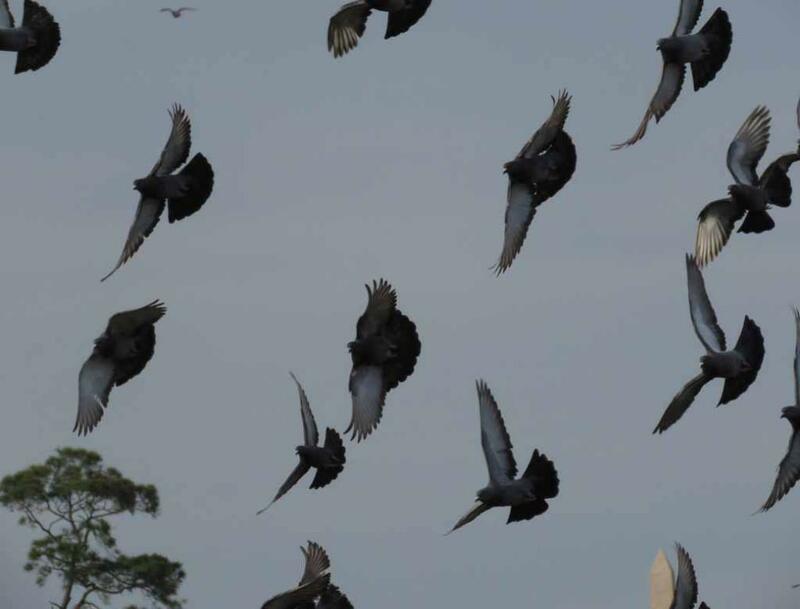 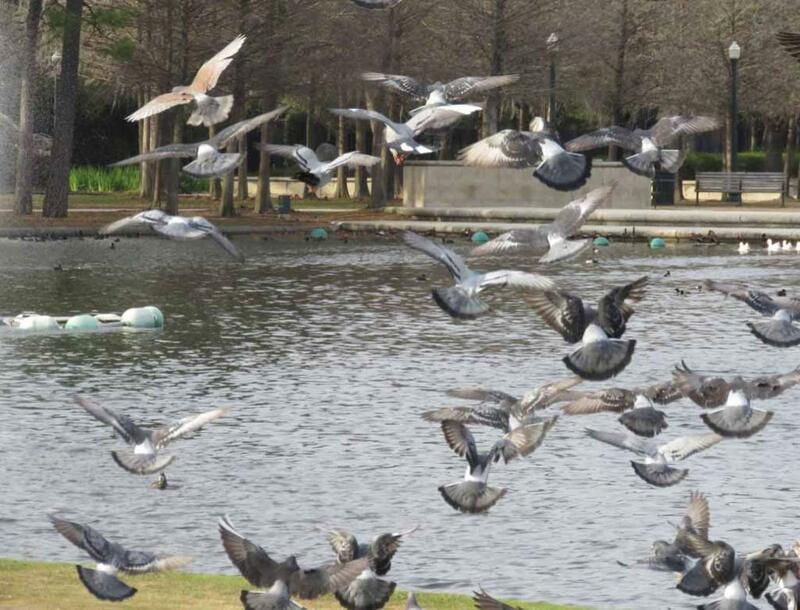 Many pigeons flying over and near the lake. 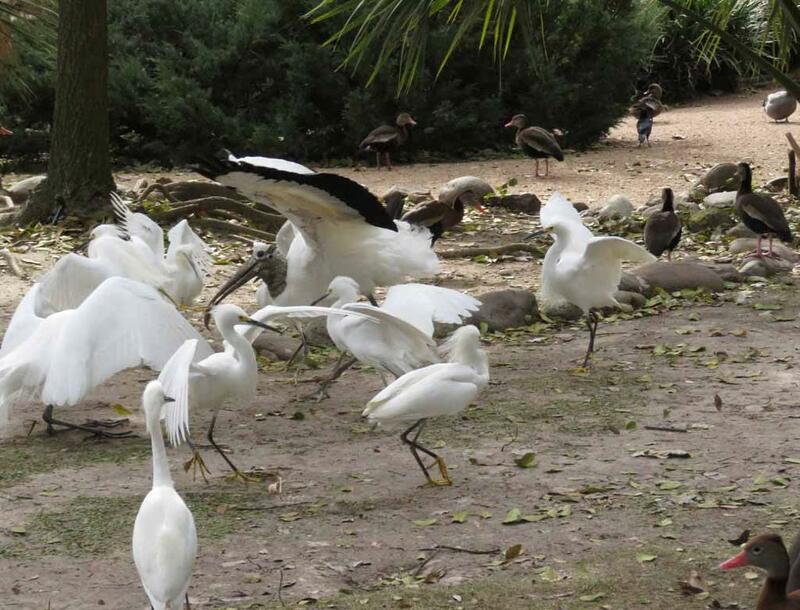 people to take their pictures. 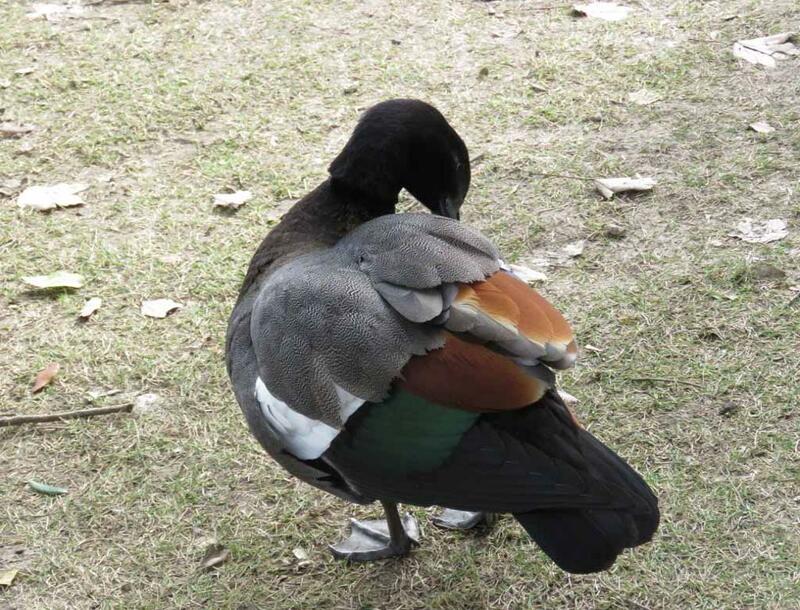 do not know the name yet. 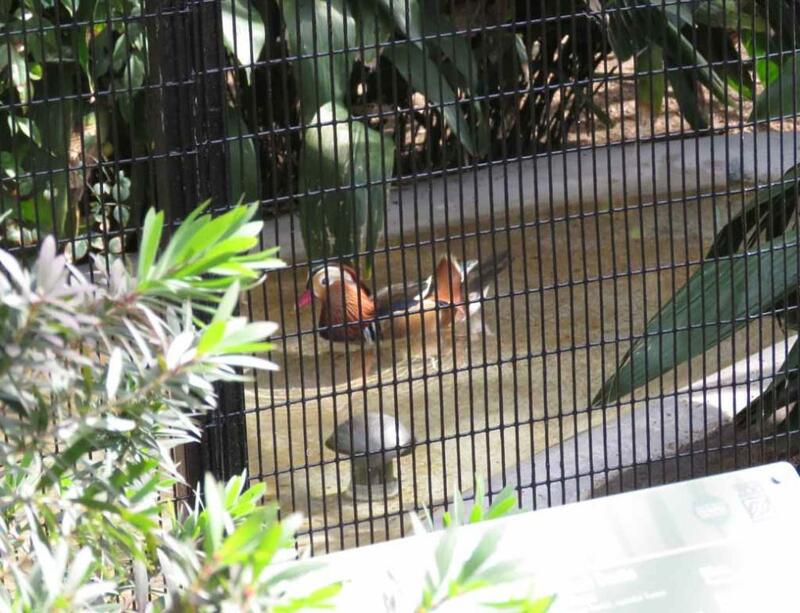 freely through aviary rain forest in a “tropical bird house" resembling Asian jungle or in large bird cages. 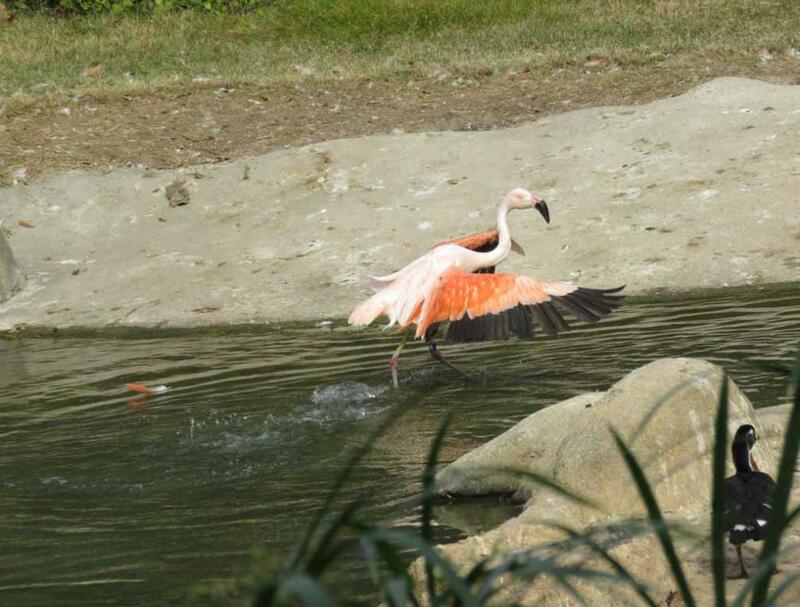 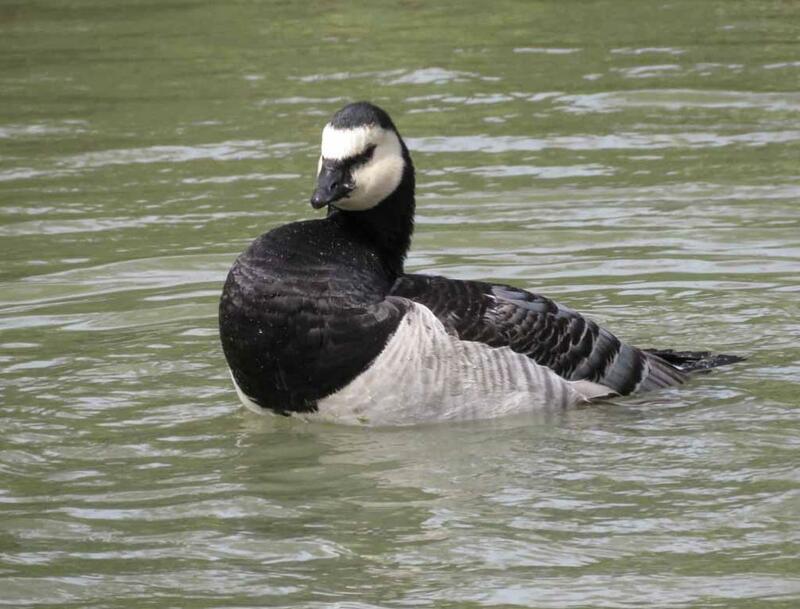 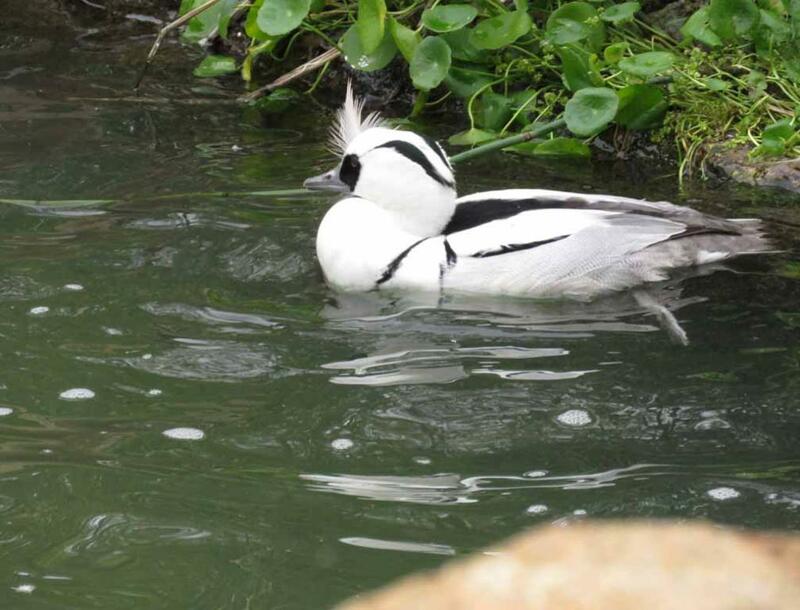 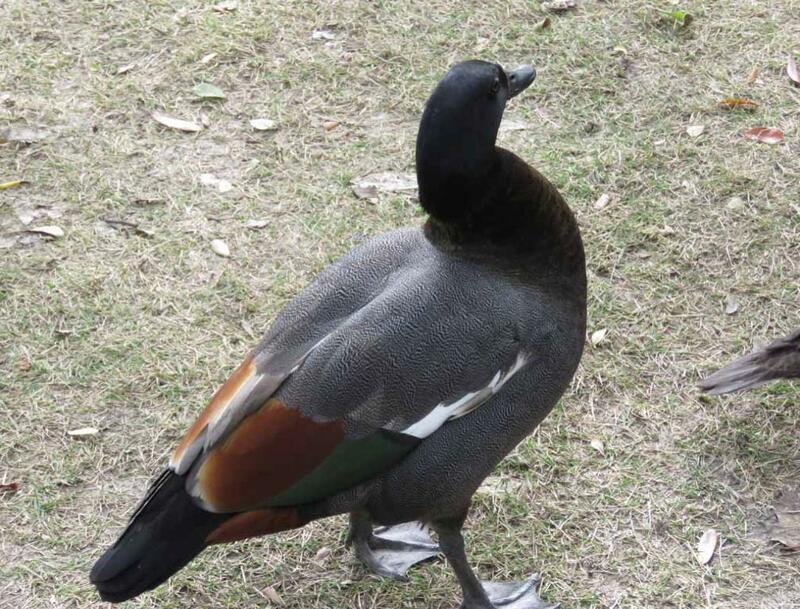 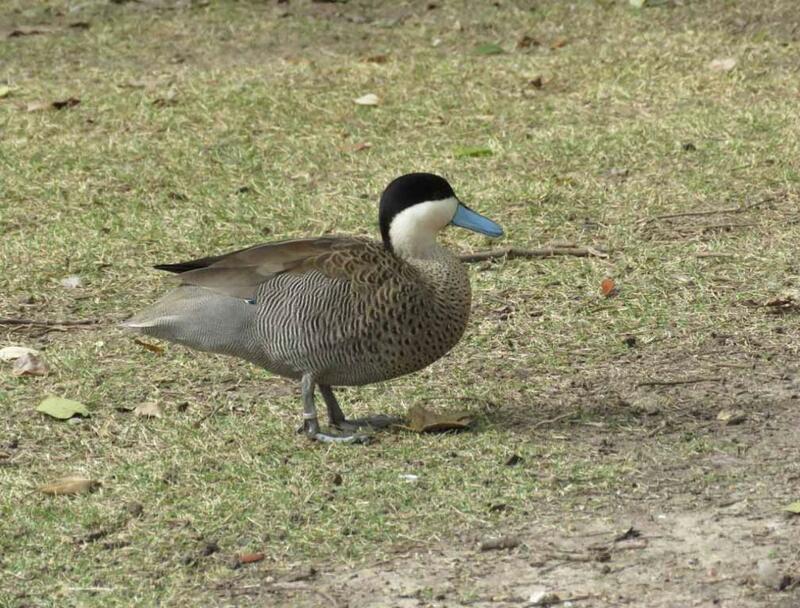 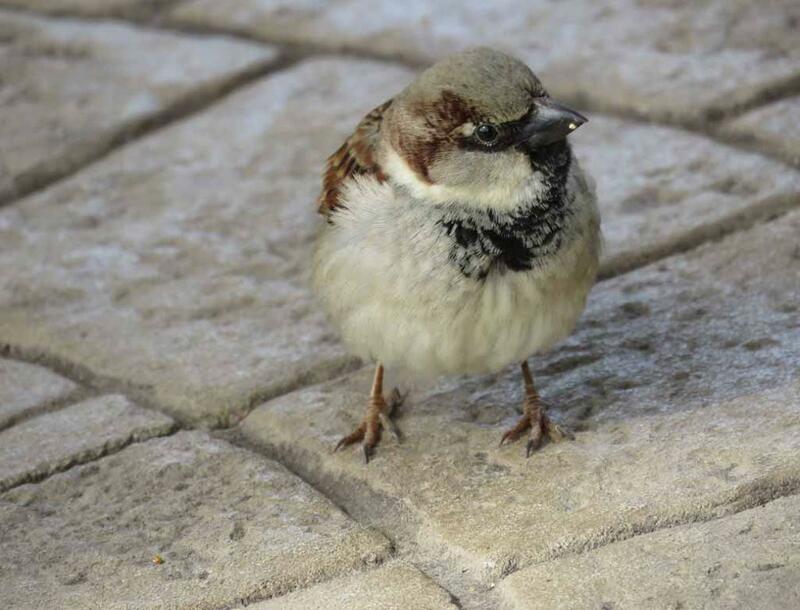 鴛鴦) in Houston Zoological Gardens. 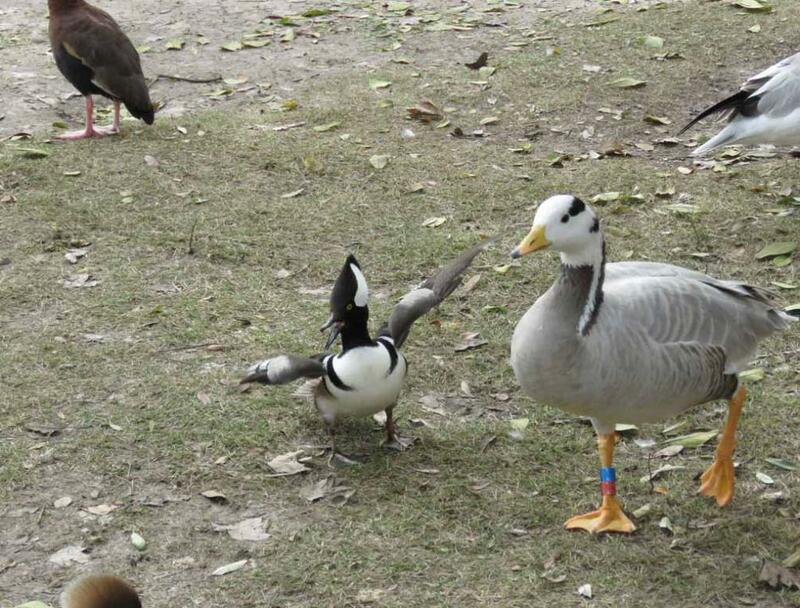 Hooded merganser and may be bar-headed goose. 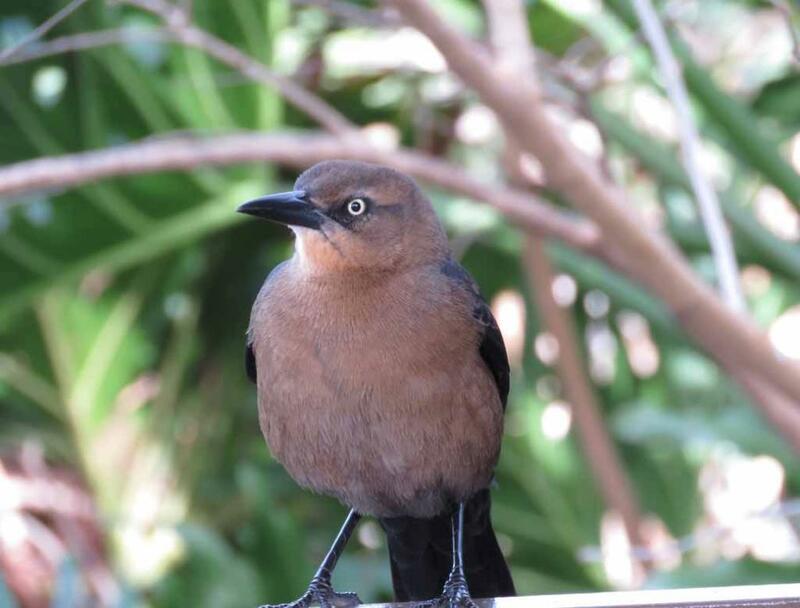 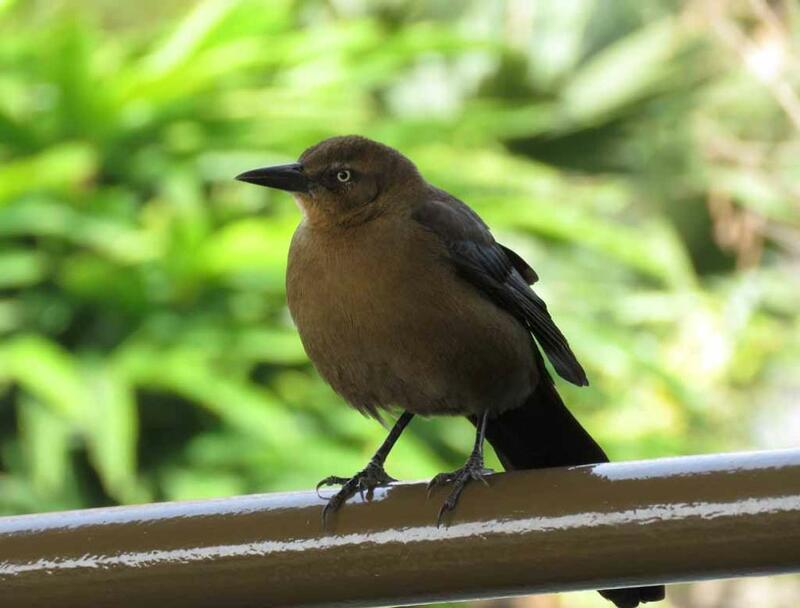 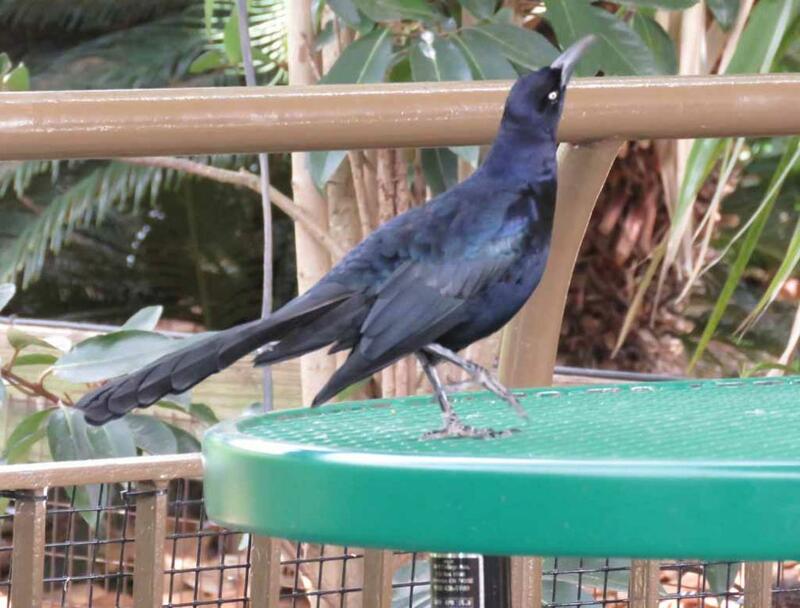 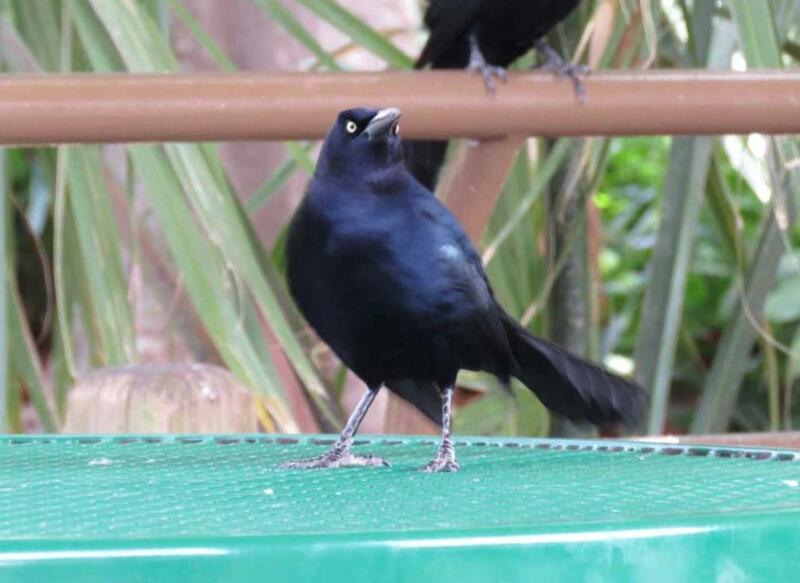 One of the female great-tailed grackles also came very close to us. 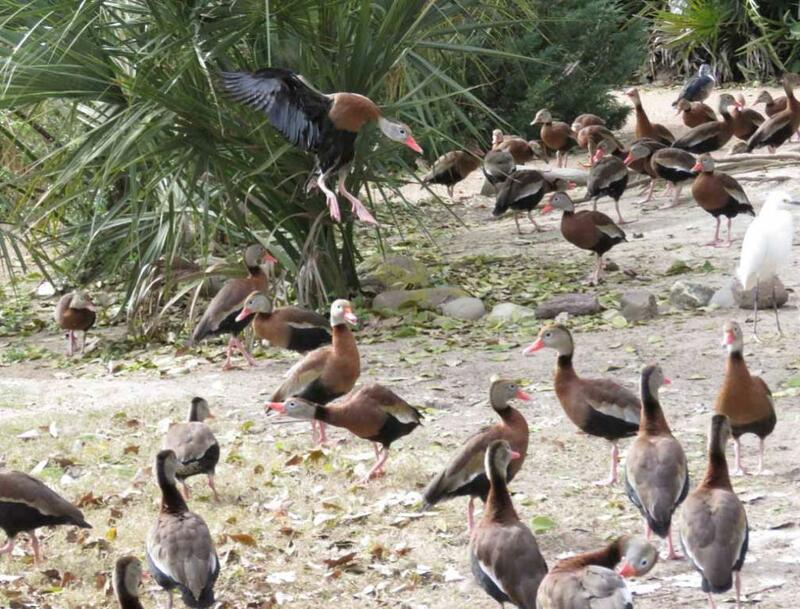 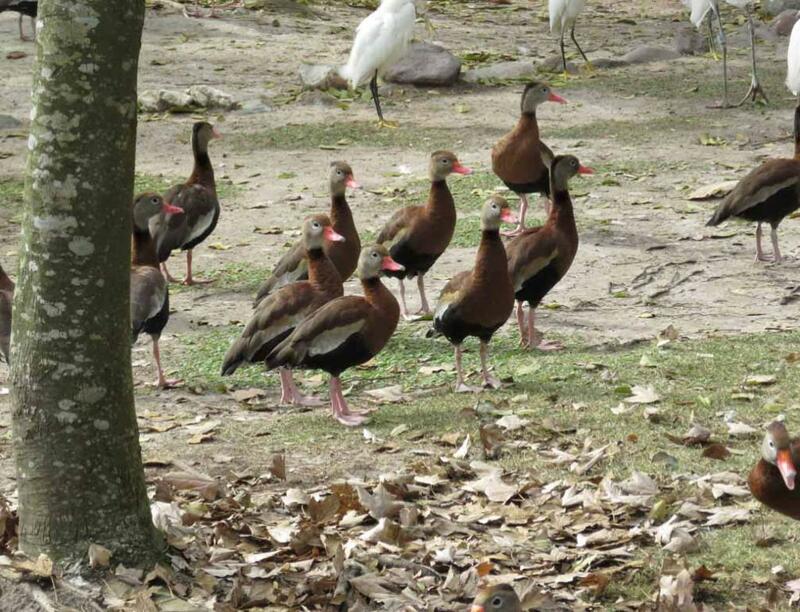 Black-bellied whistling ducks with brilliant pink-orange bills and legs. 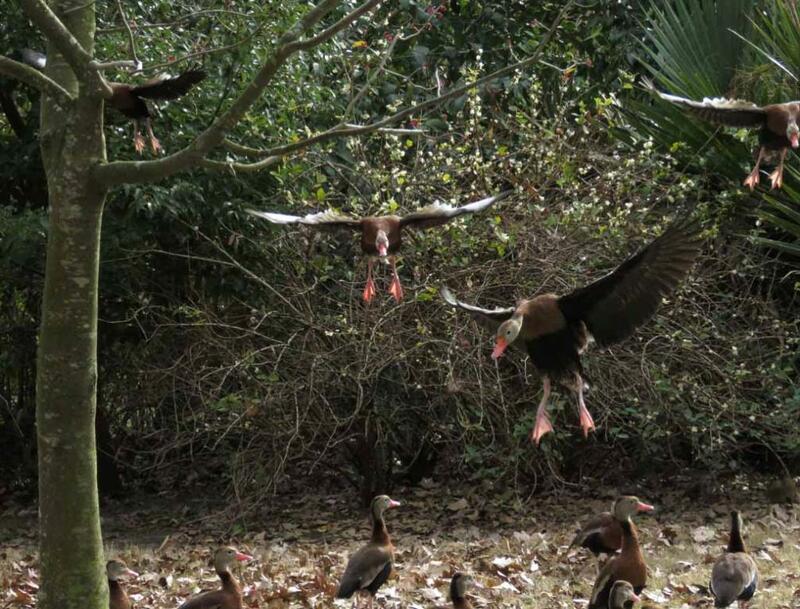 Several black-bellied whistling ducks flew over from the other side of the lake and are landing.